DO YOU REMEMBER THE TASTE OF STRAWBERRIES? DO YOU FRODO? NO. BASICALLY, NO… THIS IS BLEAK, FAR BLEAKER THAN IT SEEMS. Tolkien stated that his war experiences had a limited impact on his writing, but the writer of the account of the War of the Ring, rife with description of a land of evil, had not only survived the Great War, but Somme. By the time of Return of the King, after The Two Towers has split the Fellowship but reduced the fronts, the story is little more than one large and brutal battle. The scale is on a whole new level and the first prize in this raised game is not a trusted keep, scattered villages or ruins, but Minas Tirith: The White City that represents all of Man’s promise, while containing all his weaknesses. Return is as huge as an oliphaunt, but the majority of the tale takes place in a small corner of Middle Earth, already stacked (literally) with the ghosts of the dead from millennia of previous battles. Much of the tale is bleak – until the ring is returned, allies of Middle Earth’s victory is not guaranteed – and would remain pointless if Frodo failed. It’s so bleak, a series of hopeful and much commented codas can surely be forgiven. After quests and countless battles that could prove Pyrrhic, Return shows the fight to be worth it. With such a focus on war craft, some war logic inevitably fails to hold up. Strategy and movement may be difficult to track on a map when it comes to live action, but certain scenes such as the confusion over the direction of attack on Osgiliath seems strange when it’s been under siege for months. In other ways, the battles’ hectic approach carry things along at a pelt. There are no timing doubts as there were when the Rohirrim arrived at Helm’s Deep. Much as I liked it, I couldn’t help thinking they’d been standing around looking at their wrist-dials for a few hours beforehand. A certain degree of momentum comes with the introduction of two new lieutenants of evil; not a new thing in the films – they have previously come and gone like Sith apprentices. Gothmog is a fantastically and twistedly rounded creation in his brief appearances (see the way he resists help to dismount his warg); his accent is also refreshingly mean when surrounded by Aussie/cockney orcs. In the air, the Witch-King entrance seems a little sudden – even if we do get to see his walk-in wardrobe. Fine, we’ve met him before – but why didn’t he have a crown, or demonstrate any leadership skills then? – bar skewering a hobbit. If there are any faults with Return, it’s that this Nazgul could have been built up a little more, especially as he’s a presumed ancestor of Aragorn’s. Returns is of course more than just a war analogy. The trilogy draws on many sources from the Nordic sagas, to Arthurian legend to Christianity. Many of these had cross-pollinated long before Lord of the Rings was written – the paganism that fed into Christianity was in turn and itself retconned into Arthurian legend. But combined, the effect is more than complementary, especially as Jackson adds his own cinematic nods. He pays tribute to many conventions and classics of film. From score to shooting, there are contemporaneous reactions to Harry Potter as well as ribs on The Godfather and Star Wars – the latter, particularly, and pleasingly in the multi-partite climax. When scenes turn to Mordor and its Black gate, things even go a little – and unavoidably – Labyrinth. The reference is cyclical and reassuring: many of these films had been heavily influenced by Tolkien’s story before. One key part of Returns is Aragorn’s flight to the land of the dead. The make-up and imagery don’t even attempt to hide the neat throwback to Peter Jackson’s early horror film roots. Whilst in zombie-land, Aragorn’s prolonged absence gifts a chance for other humans to seize their moment, but it’s a mixed-bag. Théoden gets his rightful martyrdom/punishment as a conflicted man, albeit via the Klingon school of motivation. Of his kin, Eomer remains a peripheral figure while Eowyn picks up the mantle of strong female character. Her compassion drives much of the development of Merry and Pippin, but her resounding success in battle – albeit a rather odd semantic get out – also neatly signifies ‘man’s’ further development. It’s as easy to pick holes in Return as it is to lavish it with a trilogy’s worth of Oscars. Even with multiple codas some strands remain undeveloped, particularly those relating to those ‘other’ men. Faramir and Eowyn’s romance is vague and considering what she achieved, let alone how bloody little he did (bar remove a White Wizard from the front line!) it may have been better to see some of that rather than that overlong long hobbit bed hopping sequence. Still, as their names aren’t in the title, maybe we’ll just have to wait for a spin-off soap opera. There is another major player whose name bestrides the whole trilogy. The final moments of the One Ring, its volcanic fate one drop away, are wonderfully done. Jackson increases visual echoes and references to Isildur that were always simmering in Frodo’s scenes. Even at the end he struggles with his insurmountable task, and Sam proves to be the strength carrier. It’s only Gollum’s single minded and unique desire of the ring that really saves Middle Earth. When he finally regains his precioussss after 80 years, His pleasure before realising they’ve lot each other forever is brilliantly captured and a fitting sign-off. In fact, after some dietetic and non-diegetic stumbles on the way, the end to the Hobbit’s linear tale is wholly satisfactory. Even the arrival of the Eagles serves to reinforce the point that they couldn’t have just flown there in the first place. Sacrifice is key and not just for Frodo. In Return, Hobbits are seen sacrificing their nature, men their lives and Aragorn realises he must sacrifice himself regally for Middle Earth. Perhaps a key change in tightening the story is Aragorn’s resistance to this; in the book, his simply waiting for the right moment has its point, but increased reluctance ensures that the spring is coiled tighter. And so, the Elves, and couple of Hobbits set sale for the Grey havens, the Dwarves mine further and deeper under mountains, the Maiar wizards are forgotten in the minds of men, who multiply on the plains of Rohan and the towers of Gondor in peace and prosperity. Over in the East, during the Fourth Age the Hobbits fade away too – though not cleansed, not in these films; that would have been too severe. They could keep themselves to themselves safe in the knowledge that one day a few of them went on a trip to the publisher. Jackson’s main trick may be overcoming the fact that we know the fate of so many of The Hobbits’ characters before that trilogy has commences… But I’m sure he has some tricks up his long wizard sleeves. Also consumed during part of this pre-Hobbit marathon: Shore’s magnificent full trilogy score, X-box resurgent ‘Lord of the Rings: the Third Age’ (VG), Wii add-on ‘Aragorn’s Quest’ (VG), Brian Sibley’s ‘The Making of The Lord of the Rings’, Virgin’s sorry missed film companions – and heir guide to ‘Lord of the Rings’, the draw-dropping illustrations of Lee and Howe… All of which simply wouldn’t exist without JRR himself. THERE ARE BENEFITS TO ALL TRILOGIES, BUT NOT ALL TRILOGIES TAKE ADVANTAGE OF THEM. Criticism of Hollywood trilogies have often walked a well worn track; one that new trinites are general measured against. In general, the first part is weighed down by its duty to origin, while the third part may struggle to tie up all plot strands as it strives for a suitable send off. In between, part two can go in any direction; Constraint free, there’s no need for a beginning or an end and that open-endedness is only constrained by the creative team behind it. Despite a fervent fan base, adaptation also brings the advantage of something tangible to react against. With such a literary and fairly unwieldy tome, 14 years in the writing, the need to modify the narrative for the medium of film wasn’t just recommended but essential. Simply, all Fellowship needed to do was begin and that was that. 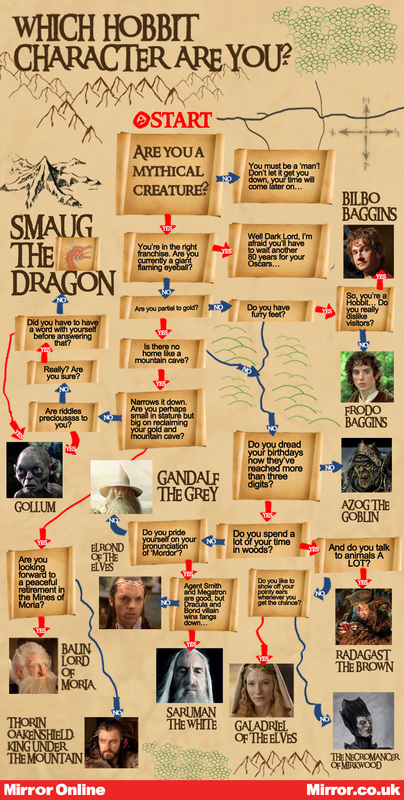 Structurally much of it draws on Ring’s lighter prequel, The Hobbit and countless other quests. Starting at the Shire, a danger is developed, a fellowship formed and then the journey undertaken across Middle Earth. On film, Peter Jackson imbues proceedings with a new speed ; in fact, a perhaps indecent haste which struggles under scrutiny. In any event, that Gandalf takes hours to realise the importance of the One Ring and practise his Marathon Man routine, rather than the book’s years, is a signal of intent. Across the many hours of the story, there has to be a strong narrative drive through and past countless villains and trials which could otherwise appear weak or sporadic. The enemy point is a key one; while there are many heroes on show, there are also many foes, not all of whom operate directly under the all seeing eye. The epic opening, rather strangely narrated by a powerful but fairly inconsequential elf (a consequence of a story lacking in strong female characters), provides not only instant action gratification but the big bad himself. Striding out onto the plains of Mordor to slug hundreds of man and elf pins is an interesting touch, considering main villain duties subsequently fall to a large orange eye… But it’s visceral, it’s physical, and that’s its main contribution. And if there are any words that sum up this adaptation, they’re visceral and physical. Emotion is widened in what can be a terribly academic tale, the action drawn out and the scale constantly on show. Even without the 3d or 48fps, Jackson instils a real tactility to proceedings that’s commendable considering how much of it lives on a hard drive. From the squint of Elrond’s eyes as elf arrows volley past his face to Boromir’s thudding perforation. This really is no mean feat where so many of the cast on screen are synthespians and its most quoted ‘creation’ is motion captured. It shows how demanding the schedule was that Fellowship’s Gollum, with his green pallor, is quite different to the one we would meet in the subsequent films. But in his own brief and sinister appearance, it works. Two legendary set-pieces fall within the film. The first is outstanding, and potentially the most important of the trilogy. For whilst Fellowship simply had to begin the story, it also had to ensure the audience would come back to watch further two films that had already been made; and the Mines of Moria sequence does that brilliantly, especially in the context of the open plain and siege battles that would follow. It has added resonance in the context of The Hobbit, but manages to stand on its own all the way to its fiery finish. Set-piece Mark II is the singular journey of the Bane of Boromir Uruk-hai from Saruman’s Isengard to meet the fellowship. Again, it’s physical, it’s scrappy, but it also works very well in slow-motion. It helps that as a general rule, films where Sean Bean dies a horrible death are generally quite good. And then with the fellowship disbanded, the story can begin proper. For an opening assault, Fellowship isn’t actually constrained by origin as lore would have it. Beginnings are shared across the trilogy, as rather befits a tale that’s all about death and rebirth. Gollum’s origin was supposedly bumped back from each film, but makes a fine beginning to The Return of the King. Arguably, we see Gandalf’s (necessarily cloudy) origin in the second film. The sense of origin adds strength to the trilogy; guiding structure and keep things fresh while also providing a constant thematic reinforcement (Aragorn even has an extra resurrection analogy dragged over a cliff with him in The Two Towers). Many changes have been made for timing, but the main character omission from the book is perhaps the most obvious nut understandable change. Rhyming immortal Tom Bombadil is a bit of an anomaly, hard to represent on film, and as character voted most likely to ‘misplace the One Ring’ would only really serve to undermine the plot. In fact, while speed played a role in many narrative changes, most serve one other distinct purpose: to put the focus firmly on the One Ring. In this adaptation, no character is immune to it, with only Gollum seeming to desire its possession rather than its power. It’s a clear, direct yet intangible horror than creeps through the films to such an extent that it highlights the ambiguity of the series’ name itself. After all is the Lord of the Rings the Dark Lord, or in fact the One Ring?